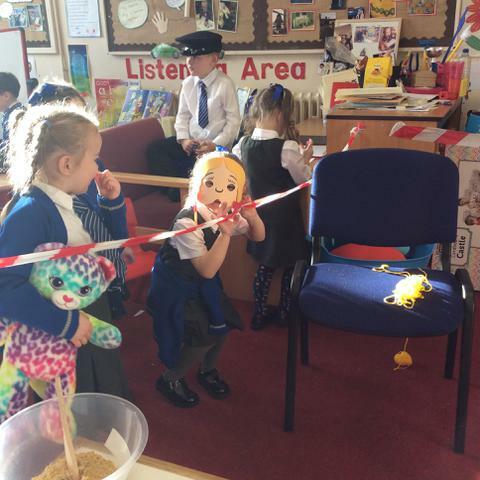 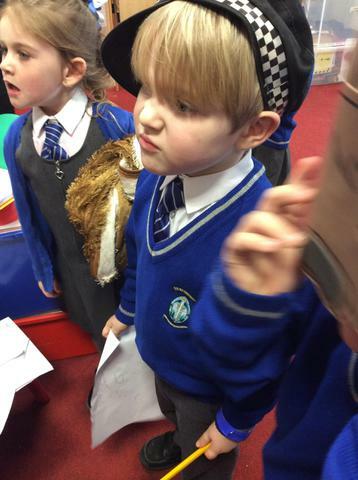 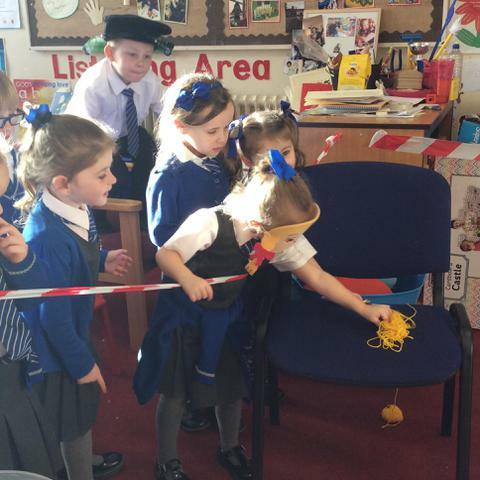 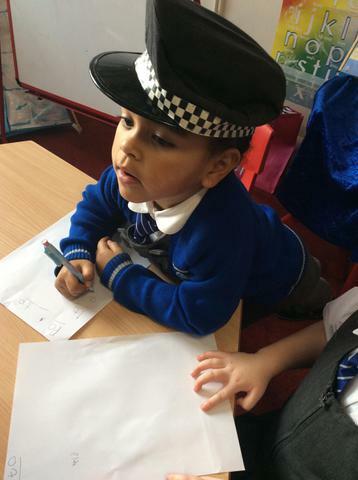 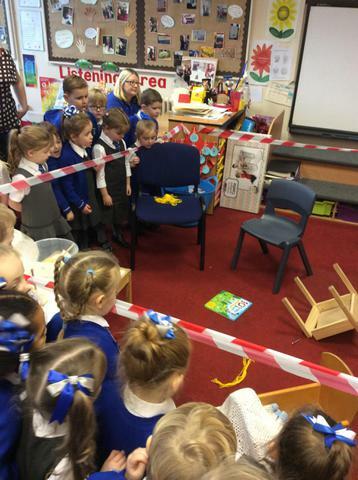 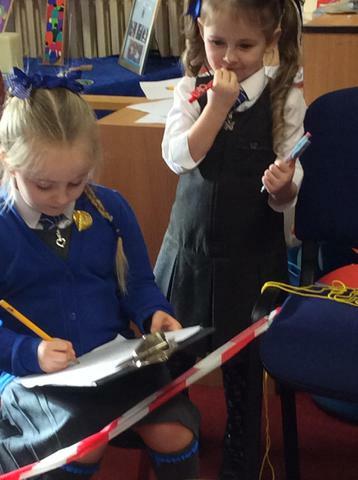 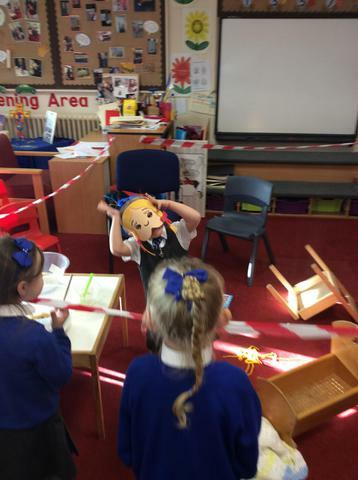 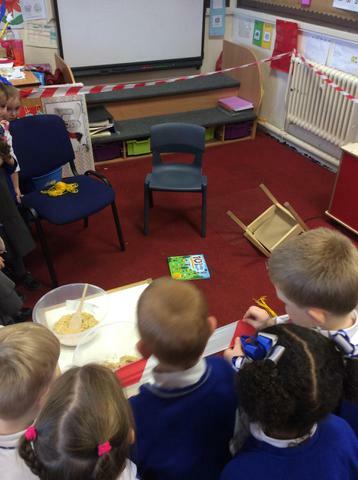 The children were so excited by the crime scene and they couldn't wait to share their ideas. 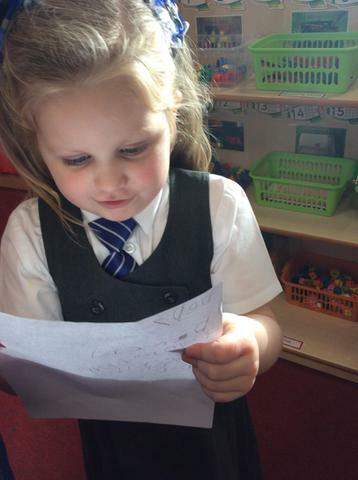 "It's Goldilocks!" 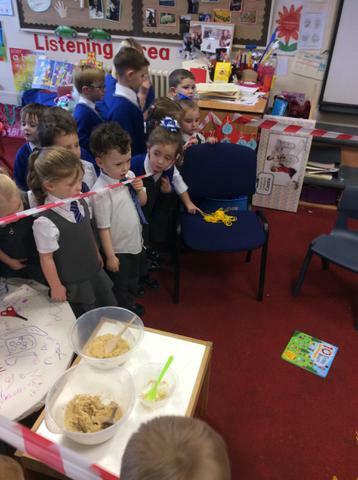 they decided, "She's been in our class". 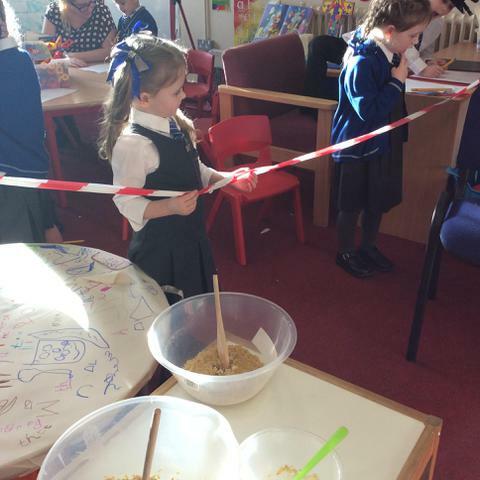 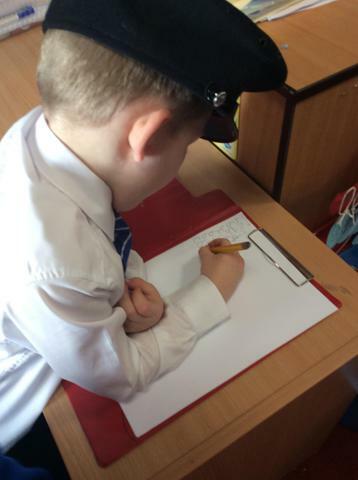 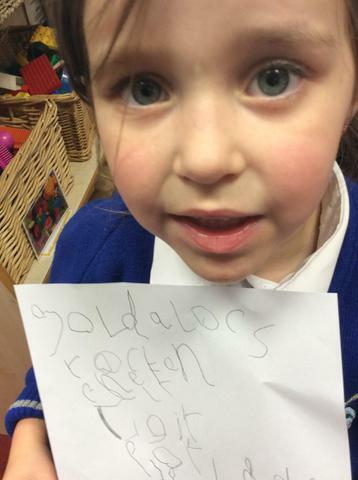 We quickly became investigators and the children wrote what they could see in the crime scene and began to write a description of Goldilocks. 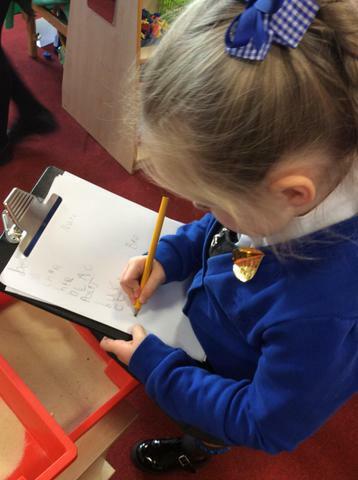 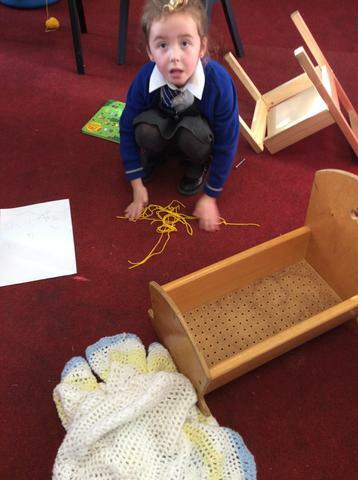 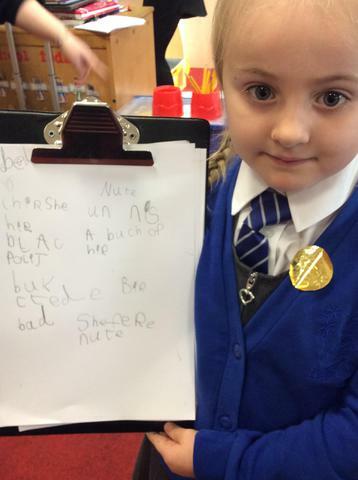 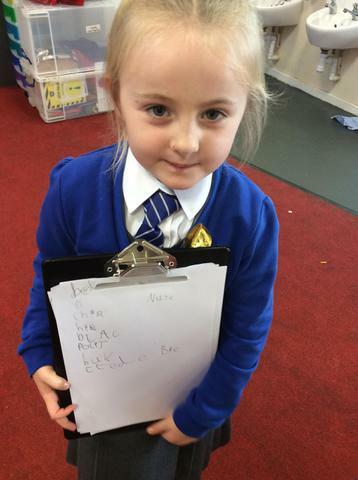 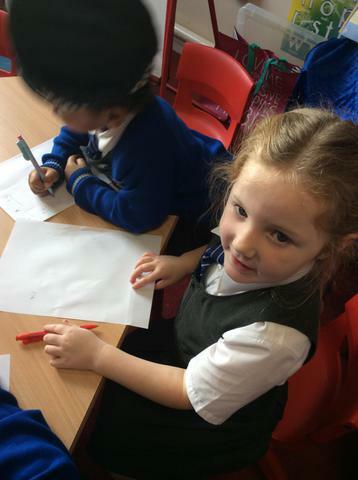 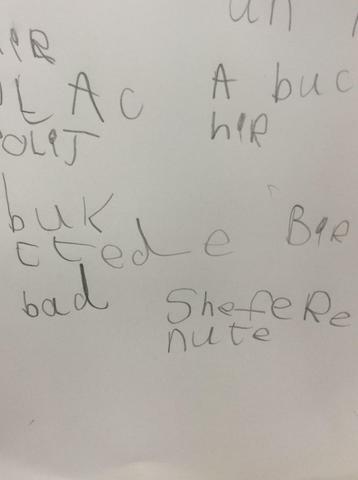 It led to lots of fantastic writing and generated lots of excitement about our new topic. 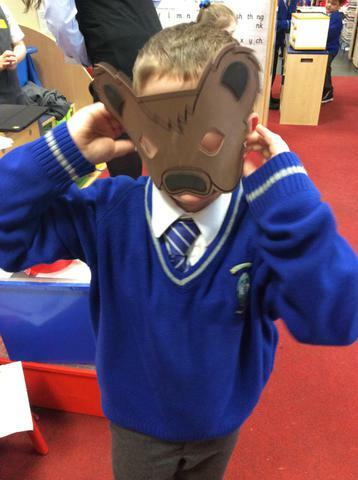 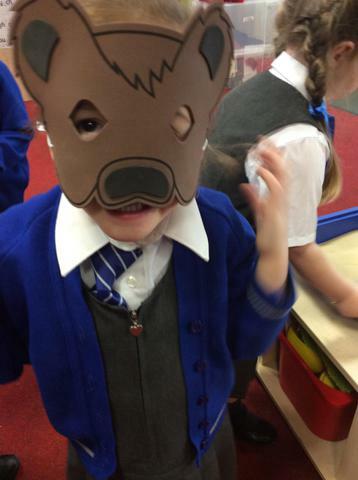 This half term, we'll be learning about a variety of traditional tales so check back to see all of the exciting things that we have been doing in school.